You are cordially invited! 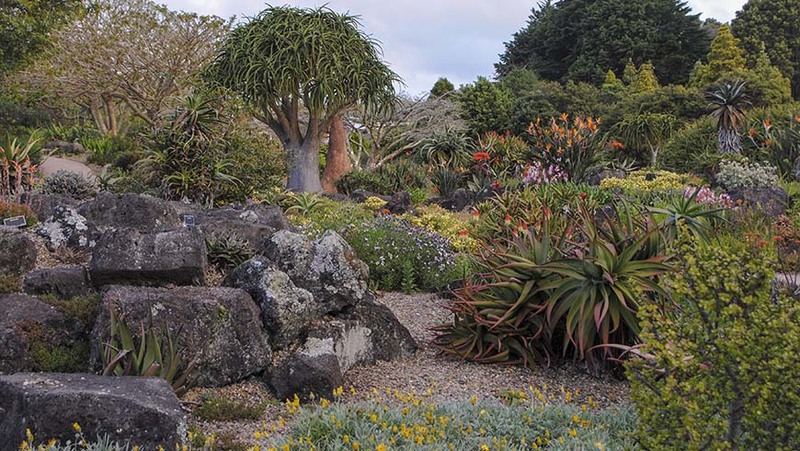 Please join me, Mark Weathington, and friends of JC Raulston Arboretum and escape winter on this stunning garden adventure to New Zealand! Together, we will discover first-hand the rich culture and sheer beauty of this isolated island paradise. We’ll cruise Auckland’s spectacular bay, visit gushing geysers, relax in hot springs and learn about Maori history, music and dance in Rotorua. Then we continue south to the capital Wellington. There we'll visit the excellent Te Papa Museum and stunning Wellington Botanical Gardens. After, we’ll fly south to Christchurch to board the TranzAlpine Express. We'll ride the rails to Arthur’s Pass and then continue on to Franz Josef town and Queenstown for a spectacular cruise on Milford Sound. January is summertime in New Zealand, so please join me for what promises to be another amazing garden adventure! $4,999.00 per person, double occupancy (land only); $1,199.00 single supplement (waived if a roommate match is confirmed). To register, please visit http://earthboundexpeditions.com/new-zealand/.